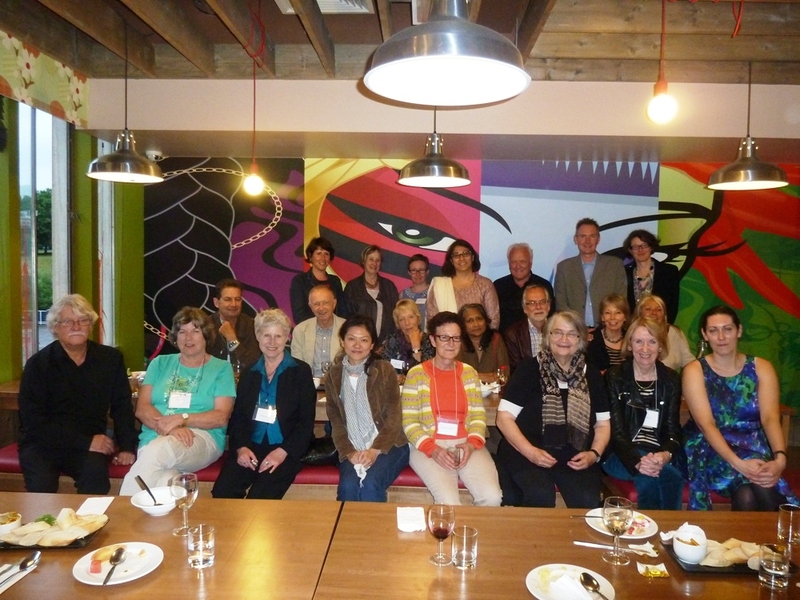 It was some 25 years ago when I first – and per chance – encountered Essex University. Then the world was markedly different from the one we live in today. Margaret Thatcher was still in power. PW Botha defiantly ruled apartheid South Africa with an iron fist, and Nelson Mandela, a political prisoner. The Berlin Wall still divided that great city, and the Soviet Union was in early stages of internal collapse. We were students at only the rocky start of Windows-based personal computing, and the Internet still only in the making. Of course the cell phone and email revolution had not yet taken off, and most of us remembering writing long letters by hand. Most of this has changed of course. We live in a vastly different world – free of apartheid, Thatcher, Reagan, but not free from new divisions and persistent old social inequalities. And we have also aged a lot since then! Before then, I hardly knew anything about the University of Essex. My association with Essex was in fact first facilitated by wise counsel from Norman Levy, already then a veteran exiled South African activist, and academic, when I arrived in the UK in 1988 to face an uncertain life in exile: ‘trust me, the struggle will take some time; in the meantime, arm yourself with a good education; go and see Harold Wolpe”. It was Harold Wolpe (Reader in Sociology 1975-1994) who first provoked and indeed, enchanted me with the explanatory possibilities offered by progressive sociology in thinking about (and indeed, re-thinking) many assumptions I have held about the political and social world. Up to that point, the mystique of ‘the struggle’ (against apartheid) had come to shape one’s thinking about the world in rather narrow and instrumentalist terms, and of course, at the time, the idea of graduate studies (at a time of war) seemed (pardon the pun) rather ‘academic’. Essex, and significantly, Harold, influenced me to step back (but not retreat) from the real politics of the anti-apartheid struggle, to think more deeply and systematically about its systemic features, links to global capitalism, and the difficult challenges facing a future democratic state in South Africa. Thinking back about this amazing period in my life, I do remember mixed feelings when I first arrived at Essex – certainly, a sense of excitement and anticipation: graduate studies, new place, country, new people, and potentially new, if somewhat uncertain future. At the same time, one was also traumatized by events raging in South Africa, loss of dear comrades, feelings of alienation and, I guess, even a measure of guilt at the privileged of being able to study abroad whilst so much pain was being experienced back home. The weather wasn’t exactly welcoming, and in the rain, I recall thinking as I was seeing the rather austere, grey square buildings through the bus window, of how much it reminded me of a notorious South African police detention centre! But all this gained a new perspective as I first walked into the Sociology Department – an immediate sense of warmth, of welcome and openness, things happening, buzzing corridors, fresh coffee smells, lively and busy notice-boards, competent and approachable departmental secretaries and administrators (who can forget the inimitable Brenda Corti or the industrious Mary Girling! ); the hordes of students from all of the world, and academics – Ted Benton, studious and soft-spoken; Ken Plummer, effervescent and welcoming; Maxine Molyneux, sharp and meticulous; Tony Woodiwiss, Rob Stones, Joan Busfield, Miriam Glucksmann, Robin Blackburn, Harold and many others whose books and papers I subsequently got to read and struggle with. I found Sociology so amazingly alive at the time – even though some of the senior academics often reminisced about its ‘golden years’ around the late 1960’s and early seventies – when radical intellectual traditions had swept Essex, like so many universities across the UK, influenced in a large measure by ‘1968’ Paris, the war in Vietnam and rising tide of anti-colonial struggles. Nevertheless, Essex in the eighties was certainly no conservative outpost. Although one could then see the beginnings of new higher education policy under Thatcherism, Essex held out quite a robust, critical set of academic traditions. 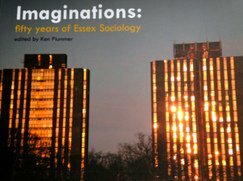 I found Sociology at Essex something of an epiphany – certainly vastly different from that taught when I was an undergraduate student in apartheid South Africa in the late 1970’s – uncompromisingly critical, independent, theory-led, multi-disciplinary in its reach, and offering potentially powerful explanatory tools for pressing problems facing the world. The Masters programme into which I enrolled in 1989 was hugely stimulating, and as it turned out, an entrée into a Ph.D programme under supervision of Harold Wolpe, and after his return to SA following the release of Nelson Mandela, the able and generous-spirited Tony Woodiwiss. Those years at Essex opened up a whole new universe – of ideas, rich and deep in texture, provocative in posture, sweeping in promise, and in many instances a series of catalysts, swinging me from one exotic planet of ideas to another on the gravity of their power. I found myself reaching beyond more familiar, and dare I say, reassuring, realms of developmental sociology, state theory and critiques of capitalist economic theory and began new and exciting forays into radical feminism, gender studies, post-structuralism, ecological sociology, and philosophy of science. I particularly enjoyed the inter-disciplinary seminar series platforms, not only in Sociology, but also, Government and Politics, most notably, a long-running series initiated by Ernesto Laclau which brought luminous figures such as Derrida, Samir Amin, Stuart Hall, Ettiene Balibar, Chantal Mouffe and many others into the seminar room. Essex was also a diverse hub, bringing students from all over the developing world – from Nicaragua, Chile, Egypt, Turkey, Poland, Tanzania, Kenya, Grenada, to Palestine and Eritrea. It created the conditions for sharing, exchanging and debating ideas with students from different political traditions. Although a mature student at the time, I rather liked the sometimes random, carefree and idealistic nature of student life. I admired the idealism of many Essex students, who insisted that radical change is not only necessary, but possible; that the culture of greed associated with neo-liberal materialism cannot constitute a stable basis for sustainability; and that democratic action ‘from below’ can bring about profound changes in a highly unequal world. Essex University itself took an early lead among UK universities in the campaign to isolate the apartheid state and its apologists, and in the successful disinvestment campaign. The student movement, including the Essex Student Union, played a key role in the Release Mandela campaign, even establishing a campus bursary fund in support of South African students. All these efforts, combined with the efforts of millions of others across the world, undoubtedly added to the cumulative pressures that eventually led to the collapse of the apartheid system towards the end of the 1990’s. Democratic South Africa owes a great deal to the efforts by countless numbers of students and staff at Essex University. Of course, not everything about Essex university life was serious and political per se. I do remember its vibrant student social life, not least the busy pub – on most weekends, hot, noisy, smoke filled, with copious amounts of cheap lager making the rounds. I still have fond memories of the beautiful greens, scenic lake, and fields of Wivenhoe that provided the setting for long walks in between lectures. The privilege one had of being able to study there certainly restored a sense of balance and perspective on the things that, in the end, really matter most in life. I do have the fondest memories of Essex University, and can honestly say it had an enduring impact on my life. Those years not only gave greater intellectual clarity to one’s understanding of the politics of anti-apartheid struggles, but also spawned a deep interests in pursuing a university career in South Africa after the fall of apartheid. Essex literally made me fall in love with university life, and the power of ideas to change the world. As Essex gears up to celebrate 50 years of existence, it can truly be proud of a truly extraordinary legacy in serving not only several generations of UK students and through its research and engagement work, in improving the quality of life in Britain, but also, many parts of the developing world through critical scholarship of its foreign graduates. I regard the quality of scholarship at Essex as second to none. It has certainly has had a deep resonance in work one has been attempting to transform the role of South African universities in the post-apartheid years in the wider quest for genuine social and economic transformation in South African society. Professor Derrick Swartz is now Vice Chancellor of Nelson Mandela Metropolitan University, South Africa. I graduated with MA Sociology of Development, Essex University, July 1989. After completing my studies at Essex, I came back to Botswana to continue my work as A Rural Sociologist in the applied Research Unit of the Botswana Ministry of Local Government. I consider my experience at Essex to have been useful in grounding my work as a Social Scientist. I am an interdisciplinary Sociologist, an Adult and health educator with a wealth of more than twenty eight years of professional experience from different workplaces: first worked as a Rural Sociologist (Sanitation) for the Ministry of Local Government (six years), Training Officer for De Beers Botswana Diamond Mining Company (DEBSWANA), Jwaneng mine, (one year) Program officer, Social Mobilization, for UNICEF Gaborone, (two years), an independent consultant (one year) and finally as a Lecturer, (twelve years), a Lecturer in Adult Education, (four years) University of Botswana, from January 1994; Senior lecturer (four years) from April 2006; and Associate Professor from January 25th 2011 to- date. I have a passion for research work and use my experience in Qualitative Methodology from Essex to do part time consultancy work when given the opportunity to do so. Essex has given me the chance to grow to be a seasoned senior researcher and scholar. Since 1991, I have done total of 19 part- time research- based consultancy projects for the Government of Botswana and international development partners. Regionally, I have also served as principal investigator on the Botswana side for a collaborative research project on Non- Formal Education and poverty reduction with four other universities under the auspices of British Academy African Partnership Initiative (BAAP) from March 2006 to March 2009. I visited the University of Glasgow annually for meetings with my research partners while the partnership lasted. 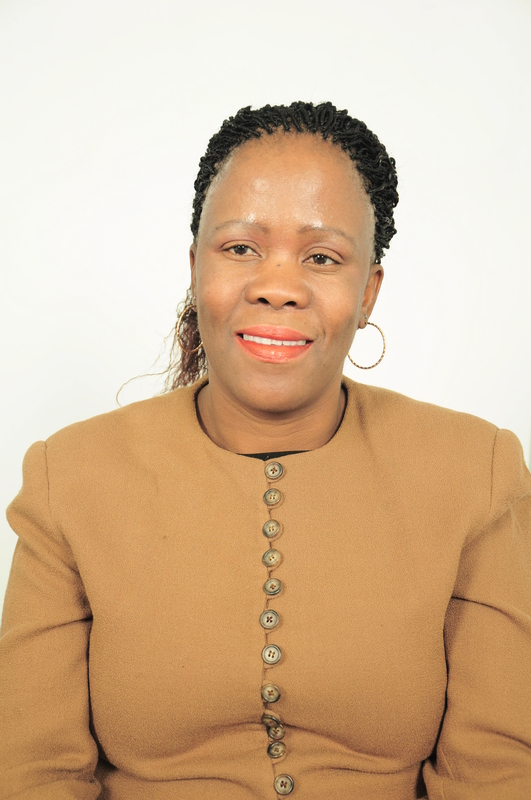 I served as a coordinator (Jan 2010-August 2011) for the Botswana Chapter on an 18 months collaborative research project on Implementing the Third Mission of Universities in Africa (ITMUA) regional collaborative research since January 2010 to August 2011. The project, sponsored by AAU/DIFD, involved three other universities: Calabar, Malawi, and the National University of Lesotho. A book on Community Engagement in Four African Universities has been published from the research case studies. I am presently on sabattical leave from June 2012 till May 2013 to write a 16 chapter book on Lifelong learning, poverty, community development and engagement. 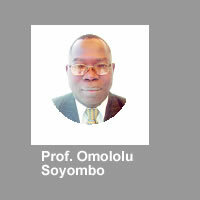 My areas of research, publications and activism include environmental education, gender issues; the social context of health, Adult and Continuing Education, entrepreneurship skills development, instructional media and materials development, the global impacts of HIV/AIDs, gender-based poverty and poverty identity formation, literacy and post -literacy. I would welcome any opportunity to reconnect with Essex Sociology Department in any ways in which I can be helpful to pay back part of the price.